Be aware of the Facebook ‘F1 Star Michael Schumacher dead after come out from COMA few seconds ago’ hoax which is currently spreading on various social media networks. 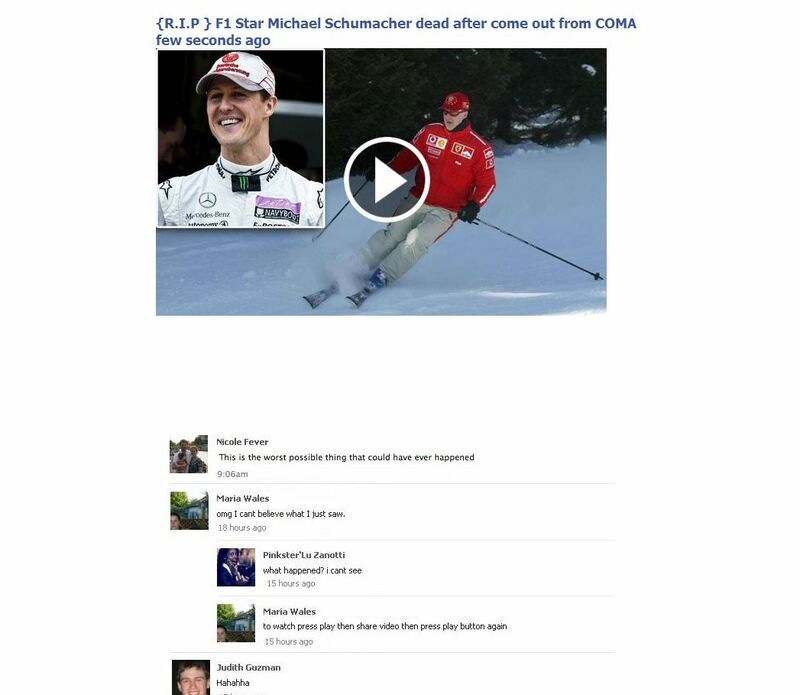 The ‘F1 Star Michael Schumacher dead after come out from COMA few seconds ago’ video has been crafted by scammers to infect unaware Facebook users with malicious surveys and malware. The ‘F1 Star Michael Schumacher dead after come out from COMA few seconds ago’ which has been hosted on the rapidstockprofit.org domain, redirect users to a malicious page which demands them to download a specific driver.